Say ‘I do!’ at the Valley Forge Casino Resort! Make the transition from ceremony to reception seamless and leave more time for dancing by booking your ceremony in one of our elegant ballroom spaces. Contact our wedding specialists for further details. We offer a wealth of experience to assist in planning a beautiful and memorable wedding. 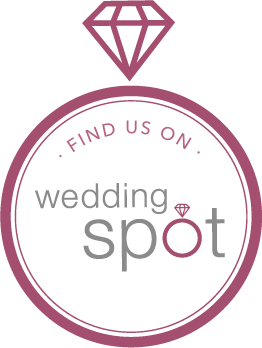 Our Wedding Specialists can make suggestions to build the event you’ve always dreamed of. Furthermore, we welcome your ideas and are more than happy to customize the day just for you! We have four packages available to create your one-of-a-kind experience. Overnight accommodations to kick off the honeymoon for the Bride & Groom on the evening of their reception. Special rates for out-of-town guests. Looking for something a little more intimate? Here at Valley Forge Casino Resort, we make elopements a breeze! Contact our wedding specialists at 610-768-3215 or Weddings@vfcasino.com for further details. Valley Forge Casino Resort offers options to enhance any of our wedding packages. Whether it is custom linens, chivari chairs or an elaborate champagne fountain, we have something to fancy every bride and groom.